Record your baby’s heartbeat in an adorable stuffed animal for a unique pregnancy keepsake! Buy direct or from your ultrasound studio! Bob and I were very mum about my first pregnancy with Brooke back in 2009. We found out around Thanksgiving I was pregnant and we didn’t tell our parents until Christmas and pretty much everyone else we knew didn’t know until the end of March 2010. I’m a small person and loose clothing and the colder weather of winter made it easy for me to keep our secret until I was halfway through – even to my own employees at work (which was a hilarious all staff meeting announcement)! Ha! Bob’s and my parents all lived in Ohio at the time and since we are in Austin, we probably could have kept the secret even longer from them, but we wanted to let them know they were going to be first-time grandparents as soon as I was over the first 8-week mark. We didn’t even tell them over the phone or through e-mail. We sent Christmas presents through the USPS and one of the gifts was an ultrasound picture in a grandparent frame. It was a fantastic way to fill them in and we waited for their calls to come in! Perhaps that is why I am really excited to tell you about the new My Baby’s Heartbeat Bear Keepsake for parents. While we have finished expanding our family, many of my friends are having kids and I thought this gift was so unique that I wanted to get my good friend – who is pregnant with her first baby – the Gray Love Bear so that she could capture her baby’s heartbeat and put an ultrasound picture in the attached frame as an awesome keepsake. I Love it! It almost makes me want to have another baby it’s so cool, but – yeah, no thanks, that’s not gonna happen! 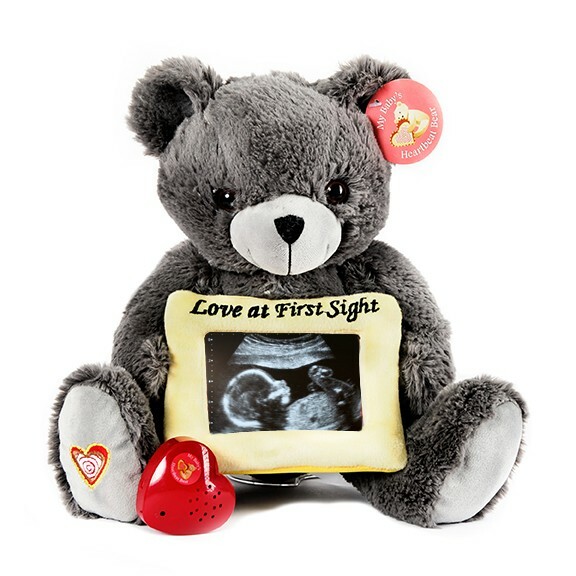 My Baby’s Heartbeat Bear was created by Purusha Rivera, an ob/gyn ultrasound technician who wanted to make the pregnancy experience even more special. My Baby’s Heartbeat Bear is an adorable stuffed animal (choose from bears, monkeys, giraffes, hippos and much more) that comes with a heart shaped recording device. You take the stuffed animal to your ultrasound appointment and use it to record the sound of your baby’s heartbeat in utero. The recorder is then inserted in the stuffed animal (through a back Velcro and drawstring closure), and you simply press it anytime you want to hear the precious sound. I’ve tested out the recording process (thanks to Brie!) and it picks up sounds from a great range and the recording sounds crisp with no crazy feedback. Since I am giving the bear as a gift, I was able to record a special little message (that my friend can record over with her baby’s heartbeat) about how excited our family is about their upcoming arrival. I can see the stuffed animals being used in a variety of ways, such as a gender reveal (they make a Pink or Blue Bear version), an awesome baby shower gift, or a wonderful keepsake for parents. What is really great about the recording is that even if you ever need to replace the batteries, once you have saved your recording on the device it will always keep your Baby’s Heartbeat recorded through any battery replacements. 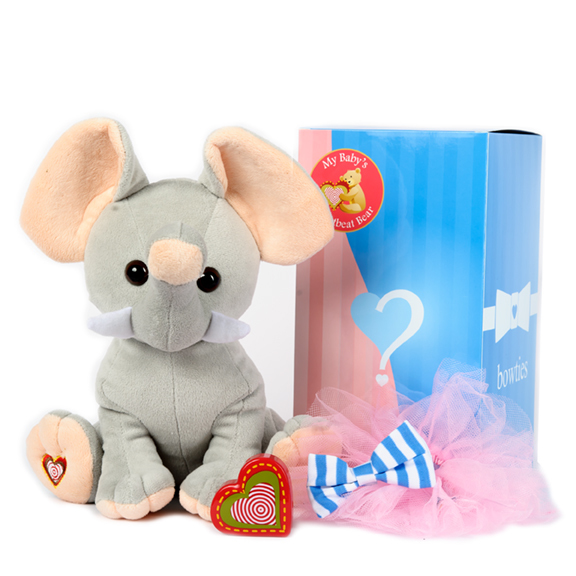 The latest Keepsake from My Baby’s Heartbeat Bear to do a Gender Reveal Kit Keepsake! The Gender Reveal Kit is a fun way for you to leave your ultrasound with your baby’s gender hidden, ready to be revealed in the comfort of your home. 13 inches, fluffy fabric and poly fiber fill. Final word from Momma’s Bacon: Having a baby changes your life on so many levels and I’ve never regretted any of the keepsakes that we did for both of our girls. It’s hard to believe that our youngest is turning 4 in a matter of weeks, and she is now at an age where she loves looking at her baby book and pictures. Keepsakes like My Baby’s Heartbeat Bear is something that will give your family joy about those exciting months leading up to your child’s book and offers a little snapshot into the amazing journey of creating a new life. Two bear paws up! Check it out! Watch this video on how to record your baby’s heartbeat and create a lasting keepsake. 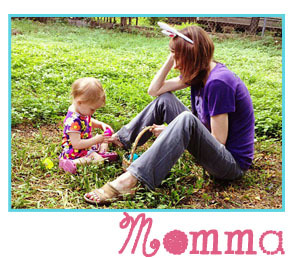 Have your baby’s heartbeat recorded on another device such as a cell phone? No problem! It’s simple to transfer your recording to My Baby’s Heartbeat Bear Keepsake, too! ← Introducing NEW Beetology Beverages!